Reduced by owner, It's time to make this your new Florida home. 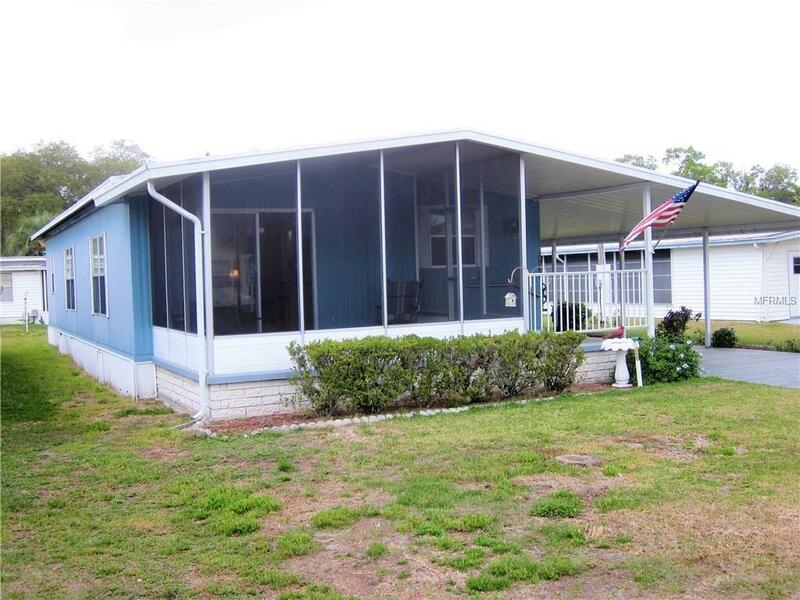 This 1981 2BR 2Bath home in a great section of an active 55 and older community, has a great 10x14 elevated screen porch to enjoy the weather and views, sliding glass doors lead to a open floor plan. New carpet in living room and bedrooms only, it features a premium vinyl flooring throughout, including the spacious kitchen. Furnished as seen. Metal roofover, newer driveway painting leads to rebuilt 9x22 storage with golf cart parking in the double doors, and washer dryer hookup in front. Don't forget its near the 27 holes of golf, 2 swimming pools and hot tubs along with 3 clubhouses, a library, walking paths, Game rooms (Billiards, Table Tennis, Board Games) miniature golf, enclosed shuffleboard Courts, Tennis courts, pickleball courts, basketball court, Bocce courts and Bingo, and our NEW dog park. * Additional fees may apply* Call for an tour today! Amenities Additional Fees Game Club is 15.00 Year Shuffle Club is 15.00 Year Swim Club is 100.00 Year With A 100.00 initiation Fee Golf Club is 260.00 Year With A 320.00 initiation Fee Tennis is 25.00 Year With A 25.00 initiation Fee. All Other Clubs Are Low Cost To No Cost.